Worried your brain is slowing down a bit? Starting to forget names and numbers? Having trouble with basic math problems? With Brain Games: Brain Teasers, Logic Tests, and Puzzles to Exercise Your Mind, those worries will become a thing of the past. From your short- and long-term memory to your planning skills and ability to learn faster, Brain Games contains everything you need to get your brain back in shape in no time. 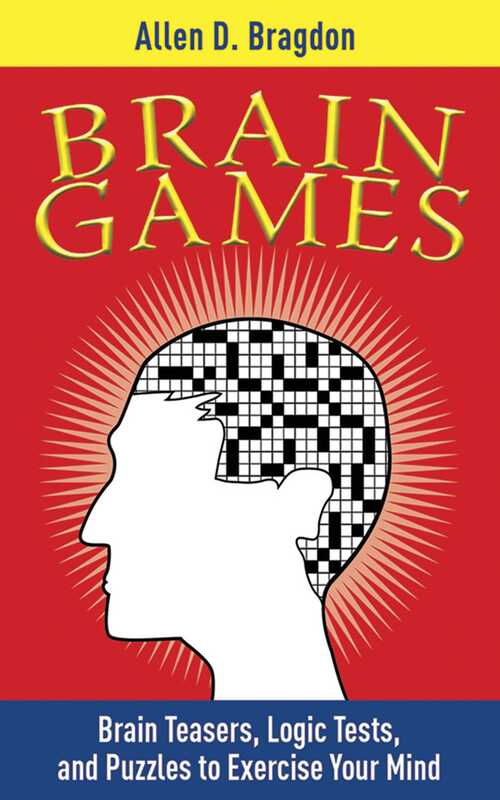 Packed with three month’s worth of crossword puzzles, over 180 performance tips, and an array of testscovering spatial recognition, memory, language skills, math, and morethis game collection will make your brain the biggest, fastest, and brainiest around. This is the perfect book for anyone who sits down with The New York Times crossword puzzle in the morning, works through Sudoku and Kakuro puzzles on the way home, or simply loves logic.